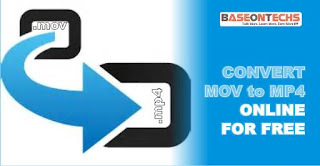 Best Way To Convert Mov To Mp4 Online For Free In 2019 - BaseOnTechs - Learn To Do It Yourself. Most importantly, this tool is fast and effective. Before we proceed let me introduce you to this online tool I've been talking about. It's Media.io. The online tool I used to convert my files all the time. And this time it's about converting .mov files to .mp4. Let talk a little more about this online tool. See a quick overview of what they claim to offer you. Supports up to 1000+ audio or video formats for input and output. Great right? Of course yes. I'm going to give a list of other file extensions that can be converted using media tool, but before I do that let's see how to convert your .mov file easily. Follow below guide correctly to convert your file easily. Once the page come up, Click on the (+) sign to Add The File you wish to convert. Important Note: You should note that how fast or slow your file convert solely depend on the file size. That is to say; smaller file size tends to convert faster than bigger file size. After a successful conversion, your file should be ready for download now. Click on Download to save your converted file to your device. You have successfully converted .mov to .mp4 video file online. While you can easily convert .mov to .mp4 online, you can as well convert .mov to other file extensions. And below is a little list. If you wish to convert your file offline, this section is for you. Converting files offline can simply help minimize usage of data, convert files without data connections, without WiFi network service and most of all, convert files faster coz it has nothing to do with network connections... offline straight down. Kindly download wondershare Converter or other offline Video Converters. 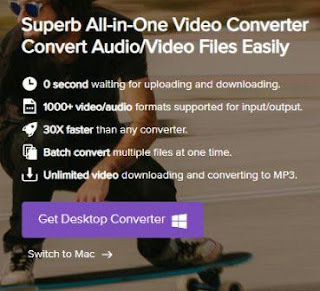 Click on "Get Desktop Convert"
There are even more tools to convert .mov to .mp4 online for free but the above is one I have personally used. In the future, I will share with you other awesome tools you can possibly use to convert .mov files online. For now, let's keep using the above tool I have given in this article. 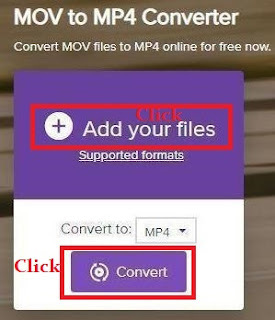 Hope it helps you convert MOV to mp4 online. It gives me a lot of joy bringing the solution to your problems. Kindly leave a comment below if you face any difficulty. Which other online or offline tool do you use to convert the above-mentioned file? Do You Wish To Be Part? Kindly Join My Private Facebook Group Below.